Quarter Finals predictions for 2018 World Cup matches. Do you want to watch live streaming of 2018 World Cup matches and bet live? Go to Unibet Live Streaming and place winning bets! Will Uruguay extend its winning run? Will star Brazil be an insurmountable barrier to sensational Belgium? Uruguay quite easily beat Portugal, having managed to shut down CR7 and controlling game all 90 minutes. It was seven consecutive win for the team! The last defeat of the Sky Blues was last year in a friendly game against Austria, and since then, they beat all their rivals with a total score of 13:1, the only goal was scored by the Portuguese in the last game. Who can stop the Uruguayan killing machine? The French are perfect for this role! The Blues have showed not the most convincing football at the group stage, but as always, this team is gaining momentum from game to game as the tournament progresses, and in this clash, we will see an even stronger France. Despite such score (4:3) in the game against Argentina, which speaks of a tough struggle, in fact the Blues won deserved and confident, Messi and Co. simply had no chance. The Uruguayans` strength has been a bit overstated, because apart from the win over boring Portugal, this team has showed nothing in Russia – hard games against weak Egypt and Saudi Arabia, also win over Russia has little to say, because despite successes of the Russians, this team demonstrates quite poor football, all they do is just parking the bus. The French are clearly stronger than their today’s rival and definitely will not lose in regular time, but still we can count on both-to-score game. The duel of these rivals is worthy of the final! Surprisingly, these two teams only met once before, at 2002 World Cup, when Brazil beat Belgium 2-0. However, at that time, the Red Devils were not among the strongest, but the Brazilians` squad was perhaps one of the best in this team’s history – then on the field were Ronaldo, Rivaldo, Juninho, Gilberto Silva, Kofu and Roberto Carlos. Now this team does not have as many stars… Brazil won their third game with a score of 2-0 in a row in Russia, but today’s clash will not be a walk in the park for Pentacampeones, what was game against the Mexicans, chronic schlemiel of Round of 16! The Red Devils are able to give battle to the favourites and even can achieve complete success! 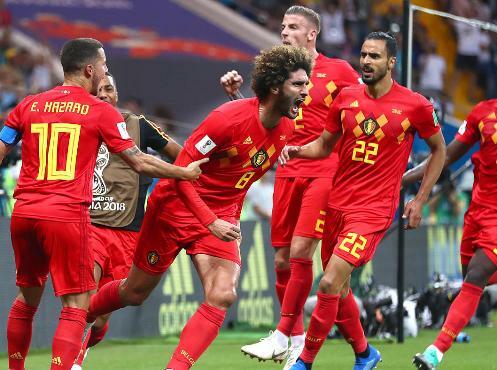 After a fantastic clash against Japan, many have started talking about the fact that the Belgians are not as strong as they seem, and vulnerability of their defence. Of course, game with Japan was all-around failure, and Belgium was lucky to reach quarterfinals, but it is worth noting that the Japanese were much more dangerous rival than expected, and Belgium obviously underestimated the enemy. This time, the Red Devils will not be doing that again!